These are our Math Dictionary words that start with U.
Ok. 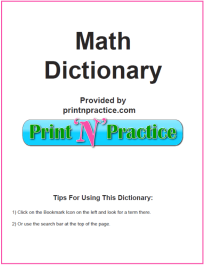 There are not very many terms in this list, yet do you see these U words in your math glossary? 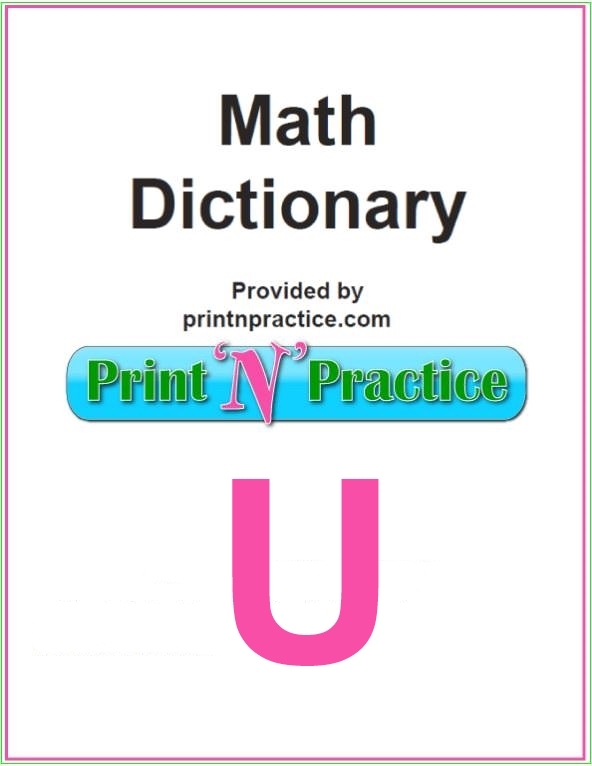 Math Words That Start With U: Math Dictionary below the U words. Undefined - if the denominator of a fraction is 0, then the fraction is undefined. Undefined Slope - vertical lines that have slopes that are called undefined. Unilateral Surface - a surface with only one side, such as a Moebius strip. 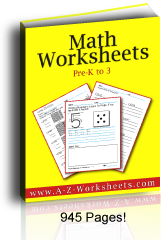 Unimodal - a finite sequence is unimodal if it first increases and then decreases. Unimodular - a square matrix is unimodular if its determinant is 1. Union of Sets - the set of all the objects contained by at least one of the sets. The symbol for union is U. Unit - a single thing used as a standard or measure. Unit Circle - a unit circle is a circle with radius 1, circle of radius 1 centered at the origin (0,0) of the Cartesian coordinate system. Unit Cube - a cube with edge length 1. Unit Fraction - a fraction whose numerator is 1. Unit Square - a unit square is a square of side length 1. Unitary Divisor - a divisor d of c is called unitary if gcd(d,c/d) = 1. Units column - the first column of numbers to the left of the decimal point.